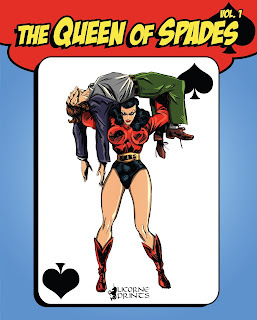 The Queen of Spades is an interesting cross between Black Canary, Batman and the Phantom of Lee Falk. Created in 1949, she is the very first female masked vigilante of the Italian Golden Age of Comics. A rarity in the post-war Italian comicdom, she is an independent, strong-willed woman with no fear to face and subjugate her male adversaries. you can read in these volumes the first part of her adventures, including the character’s origin, her restless war against the criminals who brought her father to death, and her journeys around the world along with her faithful sidekick Buster. 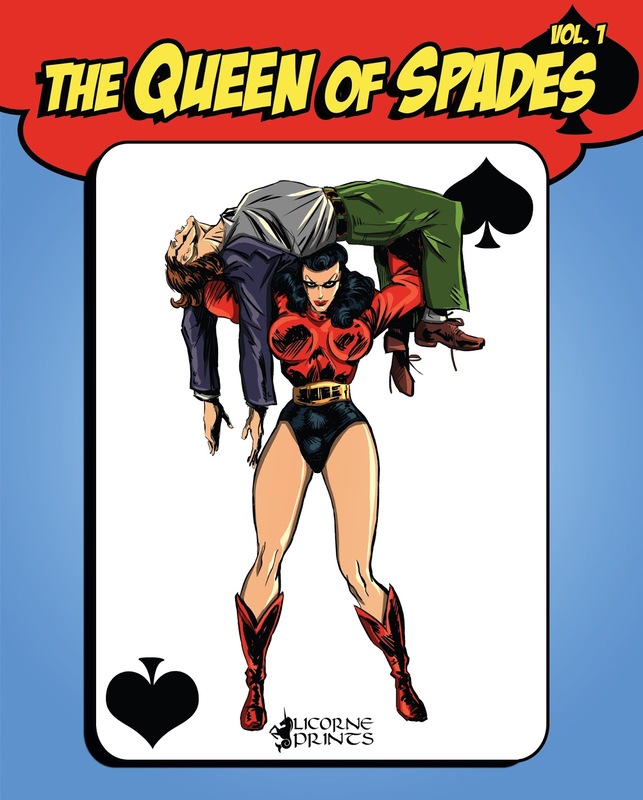 The Queen of Spades has all the elements of a classic adventure: action, mystery, romance, humor, and sensuality! Published in the English language for the first time!